SNOW MONKEY RESORTS INFO & GIFT SHOP: OPEN EVERYDAY THROUGH WINTER! 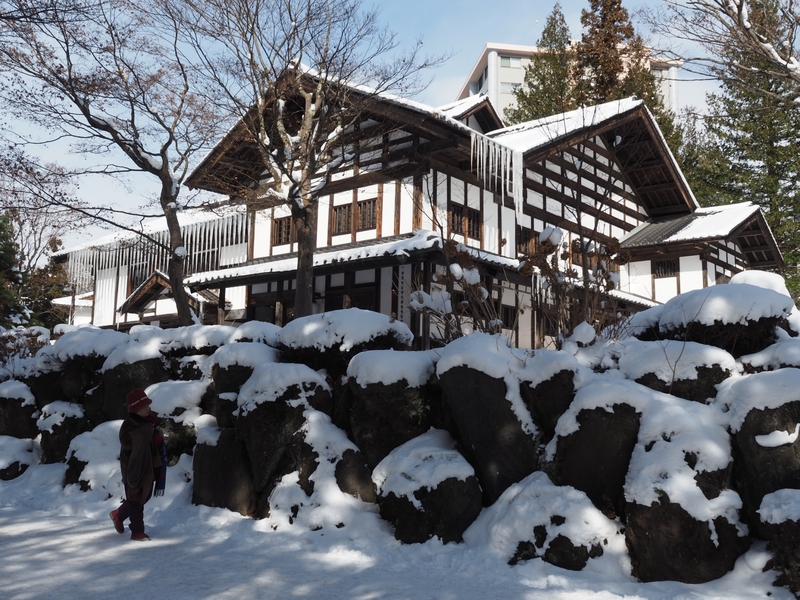 Visiting the famous Snow Monkey Park is one the highlights of any visit to Nagano and an experience perhaps best enjoyed in winter. After all, ‘snow monkeys’ don’t really live-up to the name without actual snow! 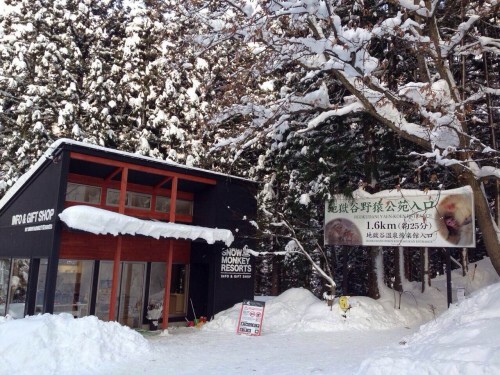 As such, winter is the busiest time of year with both Japanese and visitors from all over the world coming to the park to see the now iconic sight of monkeys bathing in the hot spring – the only troop of monkeys in the entire world known to do so! While winter is a great to visit the monkey park it can also be extremely cold with snow and ice affecting the conditions underfoot, which without proper planning and preparation, can be dangerous. 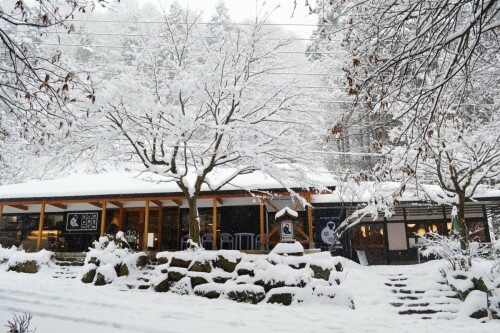 Located just outside the entrance to the trail leading to the monkey park, the Snow Monkey Resorts Info & Gift Shop is open everyday through winter – from 9:30 to 17:00 – and there to provide assistance including rental snow boots and winter jackets, and cramp-ons (metal spikes that attach to the underside of your shoes) for sale. To access the park, you must first walk along the 1.6km (1 mile) forest trail. This path is mostly level with a staircase at the end leading into the park itself and outside of winter, takes around 20 to 25 minutes to walk. Affected by snow and ice in winter, this walk is more likely to take 30 to 40 minutes with temperatures dropping to as low as -10°C during the day. 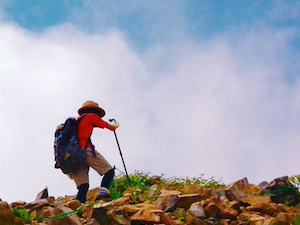 The path can become very slippery and it is easy to fall so please proceed with caution at all times. 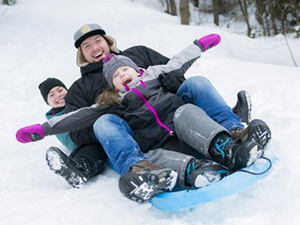 Before coming to the park, ensure that you are dressed appropriately with suitably warm clothing and good quality footwear suitable for snow and ice. But if you don’t have the necessary gear, don’t panic! 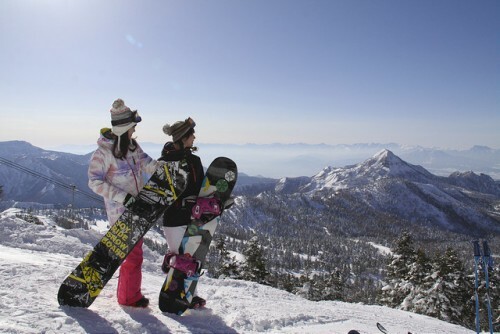 The Info & Gift Shop provides a range of winter services including rental snow boots (JPY800) and winter jackets (JPY500)*, along with cramp-ons for purchase (JPY1350) and winter clothing including hats and gloves. For visitors carrying luggage that would be cumbersome to take along the trial and into the park, the Info & Gift Shop will happily look after it for you with their left baggage service (JPY500 per item). 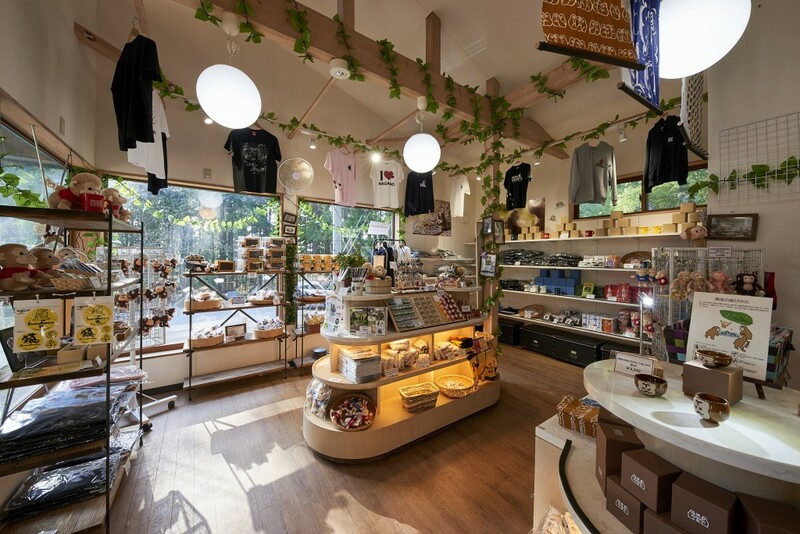 For guests looking for a memento of their visit, the Info & Gift Shop carries a range of souvenirs and official Snow Monkey Resorts merchandise including t-shirts, mugs, and tote bags. And of course, they have all things monkey including knitted dolls and purses, cuddly dolls, traditional ‘tenugui’ hand towels with monkey designs, and lots of other fun stuff only available at the shop! 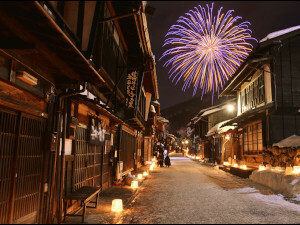 A range of confectioneries and snacks are available including Nagano’s famous apple Kit Kats, grape Pocky, manju and cookies, and monkey candy. These are very popular gifts for visitors wanting to take something home that they can share with family and friends. Please note however that if you are buying food from the Info & Gift Shop, please ensure it is tucked-away in your bag and out of sight from the monkeys as they would love to get their hands of such sweet and savory goodness! Guests planning to buy food items that cannot be hidden – noting that the monkeys will be just as attracted to a plastic bag on the assumption that it has food – should wait until they are on the way out to buy it and ensure that their precious cargo doesn’t become the property of a sweet-toothed monkey! 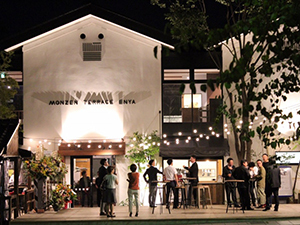 Through winter, English-speaking staff are on-hand to assist with your visit including general information about the monkey park**, transport options from the park, and nearby restaurants. Let’s face it, visiting the park in the depths of winter is likely to build an appetite and thirst for a hot drink or (for the counter-intuitively), a cold beer. 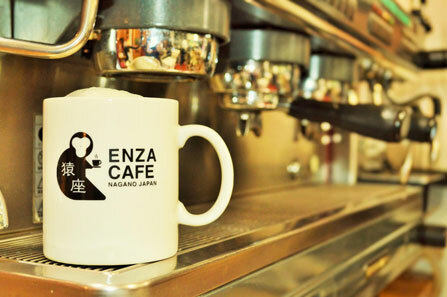 Located within only a few minutes walk of the Info & Gift Shop, ENZA Cafe is a very popular option in winter, known for its warming ramen and delicious cafe menu. 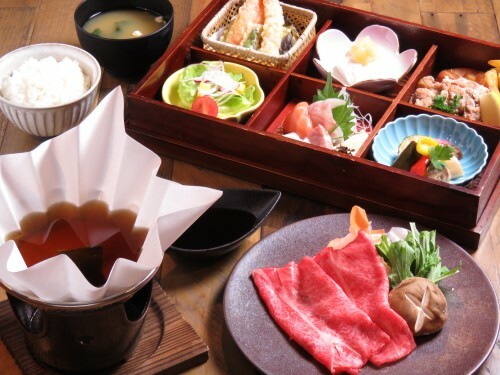 A little further down the hill, not far from the first public bus stop, Hotaru Tei is a great option of visitors wanting a more refined experience and traditional Japanese menu including wagyu beef shabu shabu and fine quality sushi, among other delectable lunch and dinner options. 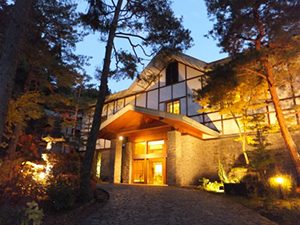 Staff at the Snow Monkey Resorts Info & Gift Shop are also available to point you toward other nearby, popular destinations and activities. Located at the base of the Joshinetsu Kogen, the Snow Monkey Park is only a 30 minutes drive – by local or express bus running via the park – from Japan’s largest ski resort, Shiga Kogen. 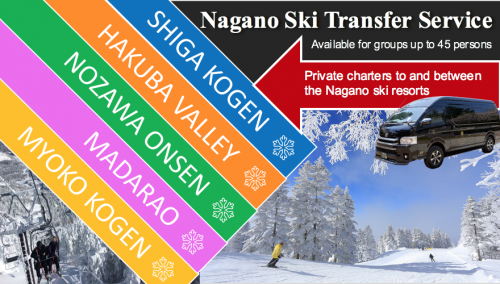 Known for having the best powder in Nagano and Japan’s highest chair-lifted ski runs, Shiga Kogen is an expansive area of interconnected terrain – approximately 600ha – all covered by a single mountain pass. 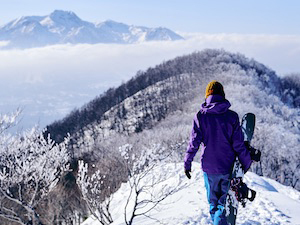 For visitors wanting to combine their visit to the Snow Monkey Park with some of Japan’s best skiing and snowboarding, Shiga Kogen is our recommendation this winter. Easily accessible from the monkey park, just ask the staff to point you in the right direction with the local bus timetable and information brochures for this and other popular attractions and activities available at the Info & Gift Shop. 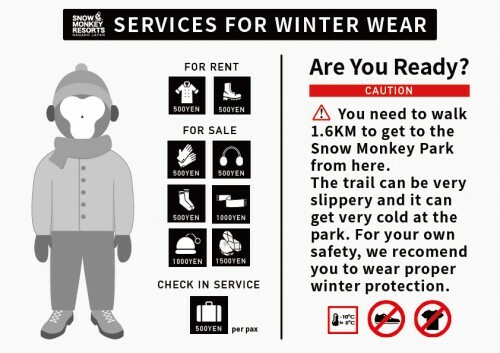 So whether you’re in need of some rental gear, looking for a special memento of your visit to the park, or need some advice about where to eat or where the bus is, make sure you stop my the Snow Monkey Resorts Info & Gift Shop on your way through this winter! 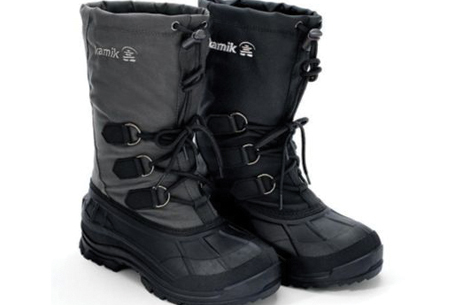 *Rental boots and jackets are subject to availability on the individual day and cannot be booked in advance. If you are intending to use this service it’s best to arrive earlier in the day to ensure availability of the necessary item. **Please note, that entrance tickets for the Snow Monkey Park cannot be purchased at the Info & Gift Shop but are instead purchased at the entrance of the park itself, an approximately 30 minute walk along the trail.